In this article, we are going to talk about the best Samsung phones under 20000 which you can purchase today. We have compiled the list by going through user reviews and features. These Samsung phones provide better value at the given price tag compared to others. Now everyone holds an Android smartphone. Without any doubt, smartphones have taken an integral part of our life. If we look around, we will discover that we are now completely dependent on our Android device and we can’t even think to spend a minute without it. However, there are many users who still haven’t get hands on their first smartphone. Or probably, some of them want to buy an Android device, but not able to figure out the perfect one. 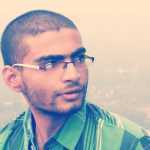 So, if you are also amongst those who are in search for the best Android device, then this post is going to help you. When it comes to an Android smartphone, one can’t simply ignore Samsung. Samsung is one of the most prominent smartphone company in India and it has a wide number of smartphones. If you search for Samsung smartphones on Google, you will find a wide number of choices at various price tags. So, in this article, we are going to talk about the best Samsung phones under 20000 which you can purchase today. We have compiled the list by going through user reviews and features. These Samsung phones provide better value at the given price tag compared to others. So, let’s have a look at the best Samsung phones under 20000. Samsung Galaxy J7 Max is one of the best and premium looking smartphone that you can purchase under Rs 20,000 in India. The smartphone was launched in June 2017 and it comes with some impressive specifications. Samsung Galaxy J7 Max is best suited for multitasking and performs well in the gaming sector because it comes with a powerful 1.69GHz octa-core processor. Apart from these, the phone also packs 4GB of RAM. On the storage front, Samsung Galaxy J7 Max packs 32GB of internal storage which can be expanded with the help of microSD card. If we talk about the cameras, Samsung Galaxy J7 Max features 13 Megapixel primary and 13 Megapixel secondary camera for selfies. Samsung Galaxy On Nxt is one of the best smartphones which was launched in October 2016. The phone was known for its look and features. Samsung Galaxy On Nxt comes with a massive 5.5-inch display and it’s available under Rs 15,000 in India. The phone is powered by a 1.6Ghz octa-core processor and it also houses 3GB of RAM. Well, the combination of octal-core processor along with 3GB of RAM makes the phone well-suited for gaming and multitasking. On top of that, the phone packs 32Gb of internal storage which can be expanded up to 256Gb with the help of microSD card. If we talk about the camera, Samsung Galaxy On Nxt houses 13 Megapixel primary and 8 Megapixel front-facing camera for selfies. 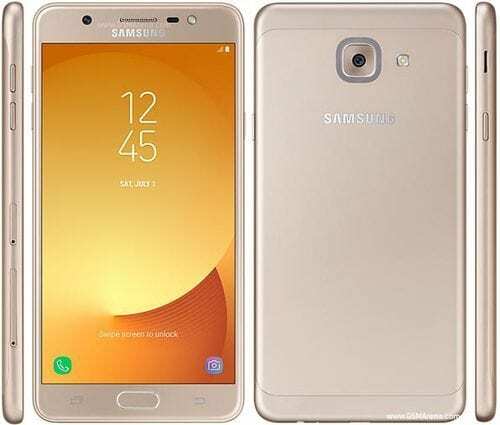 Samsung Galaxy J7 Prime is one of the popular smartphones from Samsung that was launched way back in September 2016. Again, the phone is known for its look and specifications. 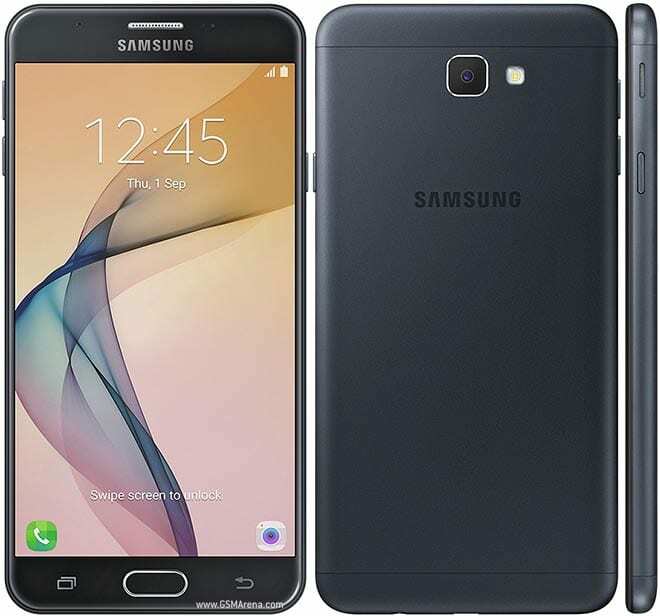 Samsung Galaxy J7 Prime comes with a massive 5.5-inch display and it features some impressive specifications. The phone runs on 1.6Ghz octa-core processor along with 3GB of RAM. Again, the combination of processor and RAM makes it well suited for multitasking. If we talk about the internal and external storages, the phone packs 16GB of internal memory which can be expanded with the help of microSD card. 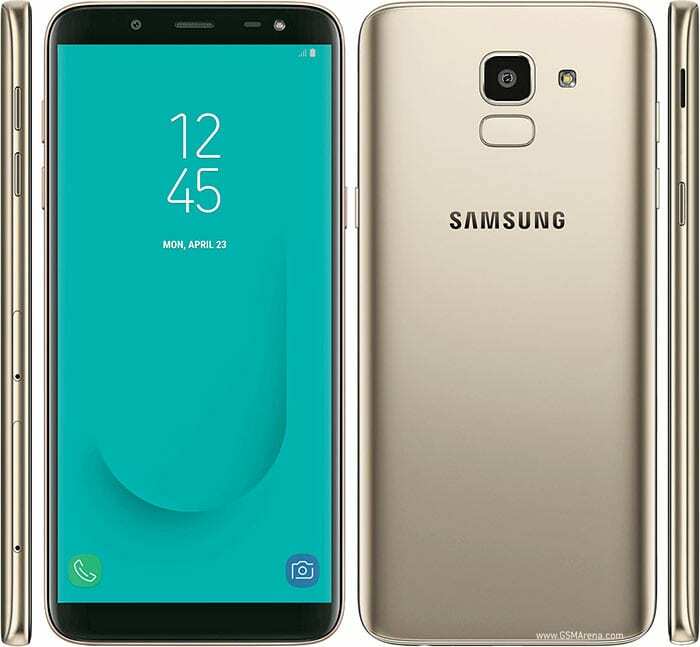 On the camera front, Samsung Galaxy J7 Prime packs 13 Megapixel of primary camera and8 Megapixel of a front-facing camera for selfies. 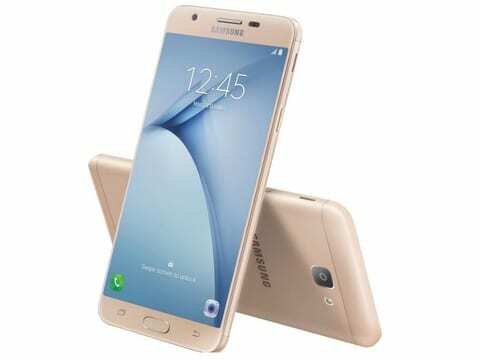 So, overall, Samsung Galaxy J7 Prime is one of the best Samsung phones under Rs 20000. Samsung Galaxy A7 is one of the oldest smartphones that is still available today. 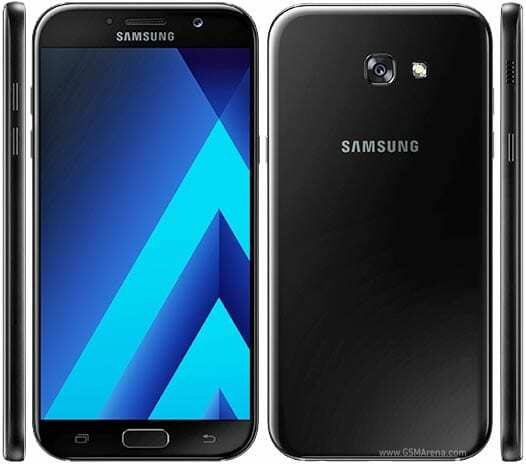 However, the phone got a major overhaul in 2017 and the latest version is known as Samsung Galaxy A7 (2017). The phone comes with a massive 5.7-inch display and it offers some great specifications. The phone is powered by a powerful 1.9Ghz octa-core processor along with 3GB of RAM. On top of that, the phone packs 32GB of internal storage which can be expanded with the help of microSD card. If we talk about the camera of the smartphone, Samsung Galaxy A7 packs 16 megapixel of primary camera and 16 megapixels of a front-facing camera for selfies. The phone runs on Android 6.0 out of the box and its one of the best Samsung phones under Rs 20000. 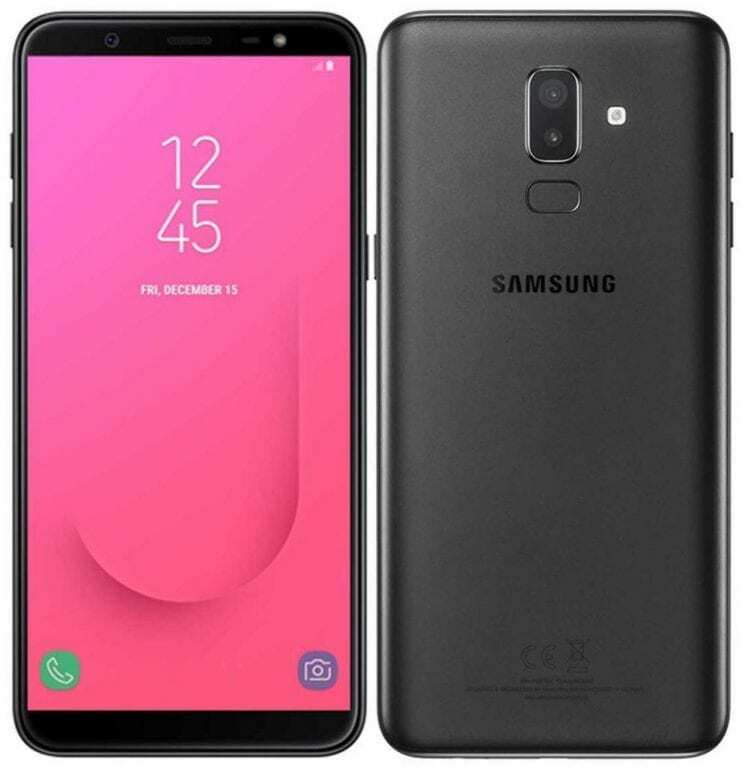 Samsung Galaxy J8 is one of the new smartphones that was launched in May 2019. The phone comes with a huge 6-inch display and it shares the resolution of 720×1440 pixels. Samsung Galaxy J8 also comes with a premium design and awesome specifications. The phone is powered by an octa-core processor and it also packs 4GB of RAM. On top of that Samsung Galaxy J8 also brings 64GB of internal storage which can be expanded up to 256GB with the help of microSD card. If we talk about the cameras of the Samsung Galaxy J8, the smartphone features 16 Megapixel of primary and 16 megapixels of a front-facing camera for selfies. So, overall, Samsung Galaxy J8 is one of the best Samsung phones to buy under Rs 20,000 in India. 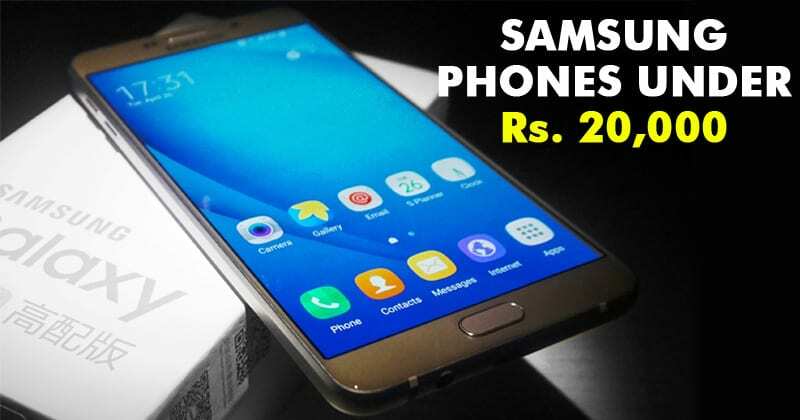 Samsung Galaxy J6 is another best Samsung phone under Rs 20000 that was launched this year. The phone comes with a massive 5.6-inch display which shares the resolution of 720×1480 pixels. If we talk about the specifications of Samsung Galaxy J6, the phone comes with 1.6Ghz octa-core processor along with 3GB of RAM. Apart from all of these, the phone packs 32GB of internal storage which can be expanded up to 256GB with the help of microSD card. On the camera front, the phone brings 13 Megapixel of primary camera and 8 Megapixel of a front-facing camera for taking selfies. So, overall, Samsung Galaxy J6 is one of the best Android phones to buy under Rs 20,000 in India. 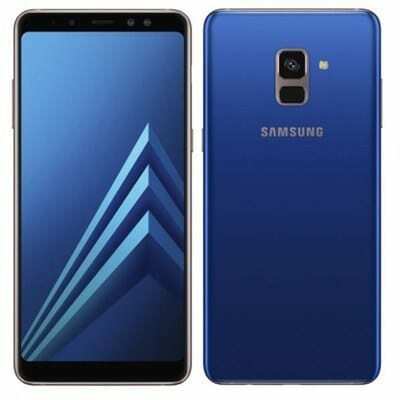 If you are looking for a premium looking smartphone at an affordable price tag, then Samsung Galaxy A6 could be the best choice for you. The smartphone was launched in May 2019 and it was heavily loved by the users. The phone comes with a massive 5.6-inch screen and the phone is powered by a 1.6Ghz octa-core processor. Apart from these, Samsung Galaxy A6 also brings 3GB of RAM which makes the phone best suited for multitasking and gaming. On the storage section, the phone packs 32GB of internal storage which can be expanded with the help of microSD card. On the camera front, the phone packs 16 Megapixel of primary camera and 16 Megapixel of a front-facing camera for selfies. So, Samsung Galaxy A6 is one of the best Samsung phones under Rs 20000 which you can purchase today. Look, Samsung Galaxy S4 is one of the oldest smartphones, but if you are willing to spend 15,000 on a Samsung device, then Samsung Galaxy S4 could also be the best choice for you. The app comes with a 5-inch display and it was known for its performance and durability. The phone packs 1.6Ghz octa-core processor and 2GB of RAM. Apart from these, the phone packs 16GB of internal storage which can be expanded via microSD card. If we talk about the cameras, the phone packs 13 Megapixel of primary camera and 2 Megapixel of a front-facing camera for selfies. The phone has support for 3G, 4G, WiFi, NFC, Infrared and more. 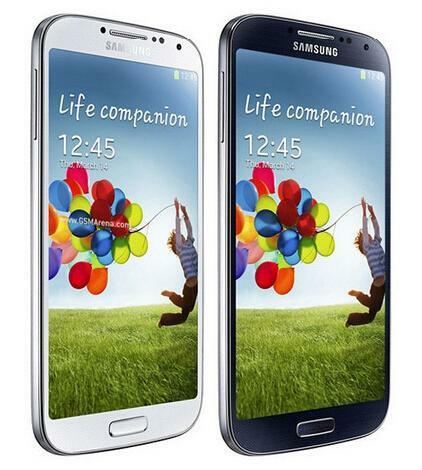 Samsung Galaxy S4 is another best Samsung phone under Rs 20,000. So, these are the 8 best Samsung phones under Rs 20000 which you can buy in India. There are few other Samsung phones available at the price, but they offer less value compared to the listed ones. If you have your favorite smartphone to be listed in the article, then make sure to drop the name in the comment box below.